Participate in small Tasks, Surveys etc provided by Hubb Mobile Rewards India and get Free Recharge Talktime on your mobile. 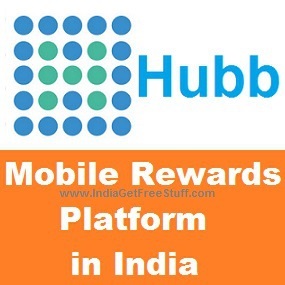 Hubb is the mobile reward platform service managed by a Japanese startup in India. =>NOTE: Right now there is a small Panasonic Survey having 4 Questions which will provide participants a reward of Rs. 20 Free Mobile Recharge. Reward will be processed within 24 hrs. 1. Visit here to Sign Up at the Reward Platform. 3. Now you will get a password on your Phone. Enter this Password and Click “Submit”. 4. Next, Enter Details like Connection Plan, Password, Email Id, Name, DoB etc to complete your profile. Then Click “Submit”. 1. Go To “My Page”. 2. You will see a Panasonic survey worth Rs.20 ( Available from 2015.02.22 to 2015.03.17). 3. Click “Get It”. Answer the questionnaire and get Rs.20 Free Talktime within 24 hrs. The platform gives its users free talktime for completing tasks. Each TASK involves an activity, such as Answering Questions, Installing Mobile Apps, Watching Short Movie and Answering Quiz related to the movie, or Making a Member Registration for certain website. So First, sign up for a free account. Once you’ve signed up you’ll receive an SMS containing the latest TASKs. Carry out your TASK on mobile website and when TASK would be accomplished properly, you will receive SMS and Hubb Mobile Rewards like free rechargewithin one day. Thanks admin for this awesome post. Got my free Rs.20 recharge yesterday.